How Soon Do You Feel the Benefits of Magnesium? Magnesium is an electrolyte that's a cofactor in more than 300 enzymes regulating chemical processes throughout your body and is important to your overall health. It's responsible for the proper functioning of your brain, nerves, heart, eyes, immune system and muscles, says the National Institutes of Health. A deficiency that throws off the balanced "nutrient symphony" can cause many health problems. If you take magnesium supplements, or think you should, take stock of what you can do to shorten the time it takes to get the benefits magnesium has to offer. Magnesium is the fourth-most abundant mineral in your body, and approximately 50 percent of Americans don’t consume enough to meet the recommended dietary allowance (RDA), according to the journal Open Heart in a report on a study of magnesium deficiency and its role in public health. For men, ages 19 to 30, the RDA for magnesium is 400 milligrams per day; for women in the same age group, it's 310 milligrams. For men and women over 31 years of age, it’s 420 milligrams per day and 320 milligrams, respectively. 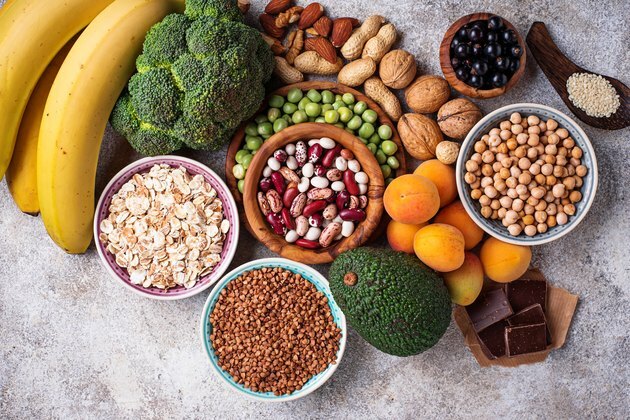 Researchers have discovered, however, that many people need an additional 300 milligrams of magnesium daily to lower the risk of developing many chronic diseases. If you're unable to get adequate magnesium from your diet, there may be other factors putting you at risk of a deficiency. These include Type 2 diabetes, alcoholism, medications or gastrointestinal conditions, such as Crohn's disease, which can inhibit magnesium absorption, according to the National Institutes of Health. Early signs of deficiency may include loss of appetite, nausea, vomiting, fatigue and weakness. A more advanced deficiency can cause numbness and tingling, muscle contractions or cramps, seizures, personality changes, irregular heart rhythms and spasms. Severe deficiency can result in low calcium or potassium, according to Medline Plus. Some conditions, including anxiety, depression, sleep disorders or migraine headaches, may improve with magnesium supplements. If one of your symptoms is insomnia caused by stress, anxiety or depression, upping your magnesium levels may help. Magnesium aids in keeping you calm and relaxed by regulating the neurotransmitters that are responsible for quieting nerve activity. Magnesium also regulates melatonin, the hormone responsible for sleep-wake cycles in your body, according to Healthline. A study that analyzed stress reduction by magnesium intake over a three-month period administered 400 milligrams of magnesium daily to the study group. The conclusion, published in the journal MMW Fortschritte Der Medizin in 2016, found that supplementing magnesium in people with mental and physical stress can help relieve restlessness, irritability, depression, lack of concentration and sleep disorders. The best way to get benefits from magnesium quickly is to simply eat the right foods. By adding a salad made from leafy greens and a handful of nuts tossed on top, you'll incorporate magnesium into even the busiest lifestyle. Other good sources of magnesium are kelp, black beans, edamame, whole-wheat bread, avocado, molasses, fish and nuts like almonds, cashews, Brazil nuts and filberts. To speed up the absorption of magnesium, try eliminating calcium-rich foods two hours before and after meals that contain magnesium-rich foods. Avoid zinc supplements, which could interfere with the magnesium balance in your body. Make sure you get the amount of vitamin D needed for efficient magnesium absorption. Also, eat your vegetables raw. Cooking destroys some nutrients, including magnesium, according to Medical News Today. With a change of diet, you might start feeling better in just a few days. Read more: Can Coffee Deplete Magnesium? Although there may be benefits from taking a multivitamin that contains magnesium, it may not be enough to correct a deficiency quickly. To hurry things along, ask your doctor about adding a concentrated magnesium supplement to your dietary sources. Magnesium supplements are available in a variety of forms, including magnesium citrate, oxide and chloride — each with a different absorption rate. The magnesium citrate, aspartate, lactate and chloride forms are better absorbed by your body than magnesium oxide and magnesium sulfate, according to the National Institutes of Health. To help speed up the benefit of magnesium as a supplement, consider topical sprays, oils and Epsom salt baths. If you're severely deficient, your doctor may prescribe an injectable form of magnesium for the fastest relief. Medical News Today: How Can I Tell if I Have Low Magnesium?